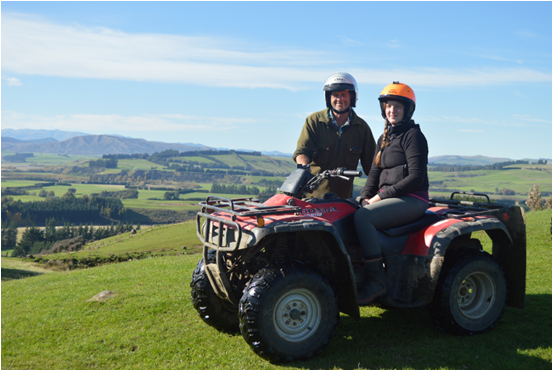 For a unique and authentically Kiwi experience, jump on our Honda quad bikes for a tour of our farm and the Te Anau region. Forget the tiny quads you have seen in Europe and Asia, our full-size quads are designed for use around the farm. Fun and easy to use, the tour is suitable for all levels of experience - our guides are specialised in guiding beginners through to experienced riders. 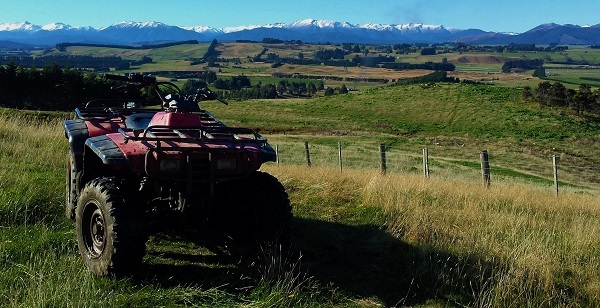 Your tour will take you through the beautiful farmland just outside of Te Anau, leading you to fantastic photography locations from the hilltops. Experienced local guides will tell you about the history of the region, as well as taking photos of you with your bikes. Safety is of upmost importance. Protective clothing is provided, as well as a full safety briefing given along with full instruction and tuition on how to ride your quad bike. 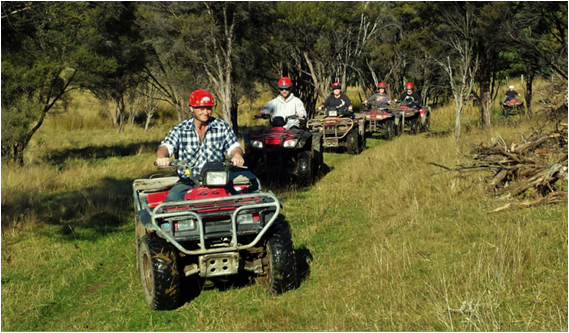 You will then go with your guide out to our familiarisation and training paddock where you can get the feel for your quad bike. Your guides are there to help you so don’t be afraid to ask questions. If at any stage during the trip there is something you do not want to do or feel uncomfortable doing, let your guide know and they will come and assist you.